How do political parties divide coalition payoffs in multiparty governments? Perhaps the most striking answer to this question is Gamson’s Law, which suggests a strong fairness norm in the allocation of office payoffs among coalition partners. Building upon recent advancements in portfolio allocation research, we extend this approach in three important ways. First, we study fairness with regard to the allocation of policy (rather than office) payoffs. Second, we introduce measures to assess the fairness of the division of policy payoffs following two norms: envy-freeness and equitability. Third, we explore why some allocations of ministerial portfolios deviate from fairness norms. Based on an original data set of party preferences for individual portfolios in Western and Central Eastern Europe, we find substantial variation in the fairness of policy payoffs across cabinets. Moreover, coalitions are more likely to arrive at envy-free and equitable bargaining outcomes if (1) these fair allocations are based on an allocation of cabinet positions that is proportional to party size and if (2) the bargaining power is distributed evenly among government parties. 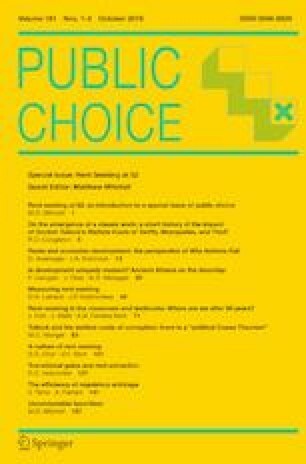 The results suggest that fairness is not a universal norm for portfolio allocation in multiparty governments, but in fact depends on the cabinet parties’ bargaining positions. The online version of this article ( https://doi.org/10.1007/s11127-019-00658-8) contains supplementary material, which is available to authorized users. This work is based on two research projects: ‘Governments in Europe’ (PI: Torbjörn Bergman) and ‘Coalition governance in Central Eastern Europe’ (PI: Wolfgang C. Müller). Previous versions have been presented at the 2017 EPSA Annual Conference, Milan, the BGSS colloquium, University of Bamberg, and at the Universities of Barcelona and Stuttgart. We thank all participants and the anonymous reviewers for comments on previous versions of the manuscript. We also thank Michael Imre for excellent research assistance. Both authors also gratefully acknowledge financial support from the Austrian Science Fund (FWF) (Grant P25490). Martin, L.W. (2016). The allocation of ministries in multiparty governments. https://papers.ssrn.com/sol3/papers.cfm?abstract_id=2798703. Accessed on 05 March 2019.